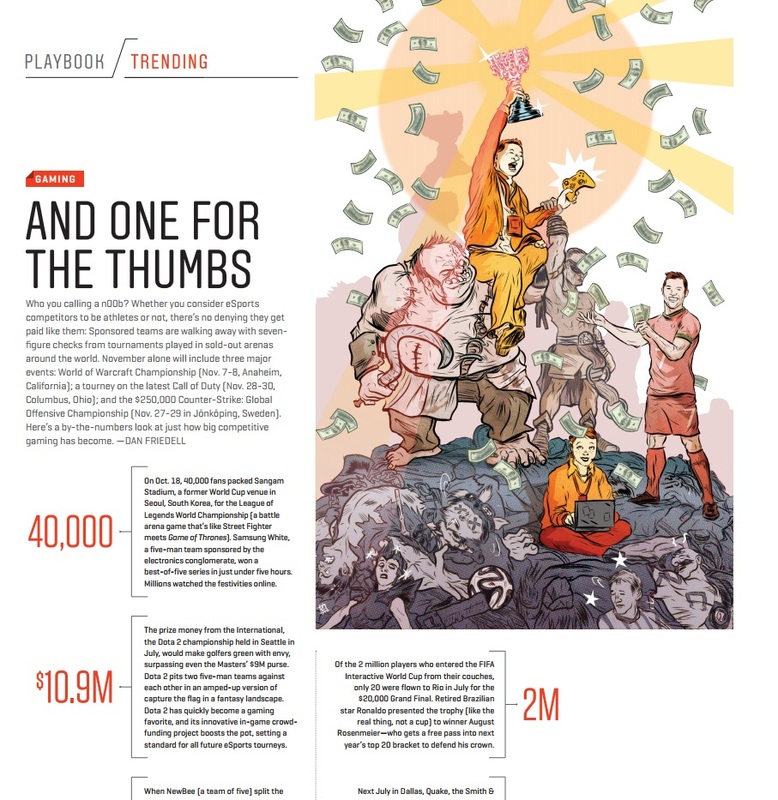 ESPN the Magazine asked me to look in to some of the biggest video game tournaments in the world for an October issue. Did you know a game called Dota 2 has a prize pool larger than The Masters does? Awesome illustration here, too. This entry was posted in ESPN the Magazine, Work samples. Bookmark the permalink.